The Ruby Princess is a dramatic ship - stunning décor, amazing entertainment, the finest amenities and the best personal service you could ask for! The piazza-style atrium has lots of eateries, and it has a European small-town feel with all of the performing street entertainers! There are specialty restaurants, a poolside movie theater, an extensive children's and teen's center, and 900 staterooms with private balconies! Enjoy the scenic views from this amazing vessel, and get ready to explore both the ship and your next destination! Book a cruise on the Ruby Princess today! The Ruby Princess is loaded with activities that will stimulate, educate, and entertain you! The Calypso Reef and Pool has two hot tubs, as does the Neptune's Reef and pool. Relax at the Terrace Pool, or at the adults-only pool in the Sanctuary! The Lotus Spa® has a pool as well, which includes two hot tubs! The spa is full of your favorite amenities - enjoy a hot stone rub, or a massage. Head over to the gym and fitness area and work up a sweat - there's even a swim-against-the-current pool to keep your heart rate pumping! Practice your swing at the virtual golf simulator, and then test it out at the 9-hole Princess Links putting course! There's also a jogging track, a basketball court, and shuffleboard! Head over to the boutiques and explore all of the duty-free designer gifts that you can bring home! Enrich your mind at the library, or attend a ScholarShip@Sea lecture, where you can learn ballroom dancing, enjoy a cooking class, and more! 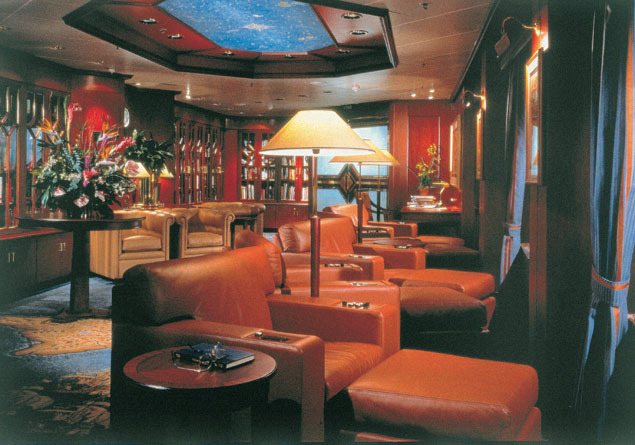 The ship has a conference center, a 24-hour Internet café with wireless access, and even a wedding chapel! 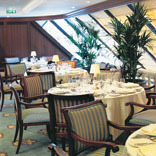 The Ruby Princess offers so many dining options that your head will spin - and you get to choose what you'd like to do! The traditional dining option serves up your meal the way you like it at the same time each day, in the Main Dining Room. Anytime dining is available in the Michelangelo Dining Room, or at the Da Vinci Dining Room - any time you like! If you're looking for something a little more special, try out Sabatini's, a delicious Italian restaurant - or, head to the Crown Grill and eat a heart steak meal! 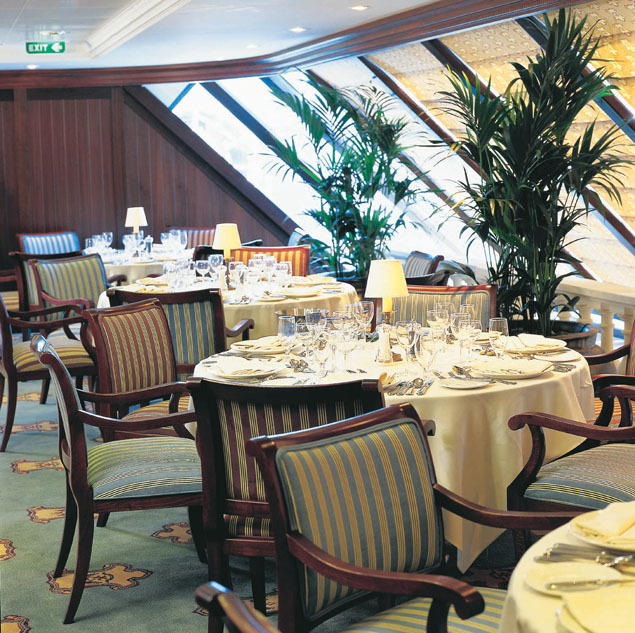 You can even have your meal served on a balcony, accompanied by a breathtaking view! This is just a perk of the Ultimate Balcony Dining program. 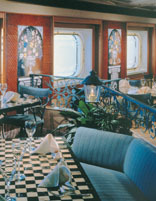 For a more casual approach, the ship has lots of small-bite eateries. Head over to the poolside pizzeria and enjoy a slice of pizza by the water. There's a burger and hot dog grill, the Café Caribe, the Horizon and Lido Courts, an Evening Bistro, a wine bar, an ice cream bar, the International Café, and the Vines Wine and Seafood Bar. You can also get afternoon tea served to you! 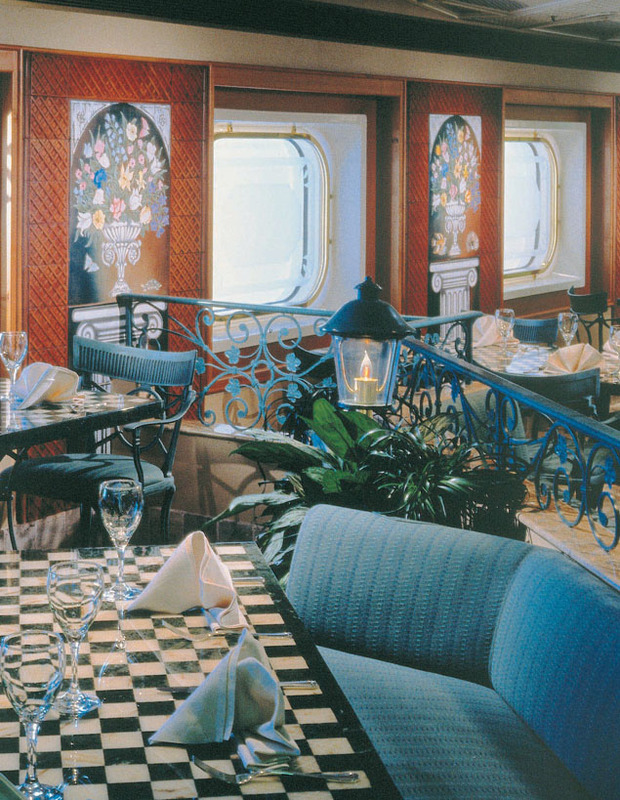 Don't forget, there's 24-hour room service on this ship, so you can enjoy a meal at your leisure in your stateroom if you don't feel like heading over to the restaurants! The Ruby Princess is full of the best entertainment available! Get ready for some amazing nightlife full of professional performances, Broadway-style shows, musical performances and comedy acts! Head to the Princess Theater to see a different show every night, or check out a first-run, feature-length film at the Movies Under the Stars® poolside theater! If you want to head out and about on the ship, try Gatsby's casino, where you can play your favorite Vegas-style games like poker and slots! The Explorers Lounge has nightclub-style acts, while you can dance the night away 15 decks above the ocean at Skywalkers Nightclub! Head over to Club Fusion for a different change of pace, or relax at one of the cozy bars and lounges on this great ship! 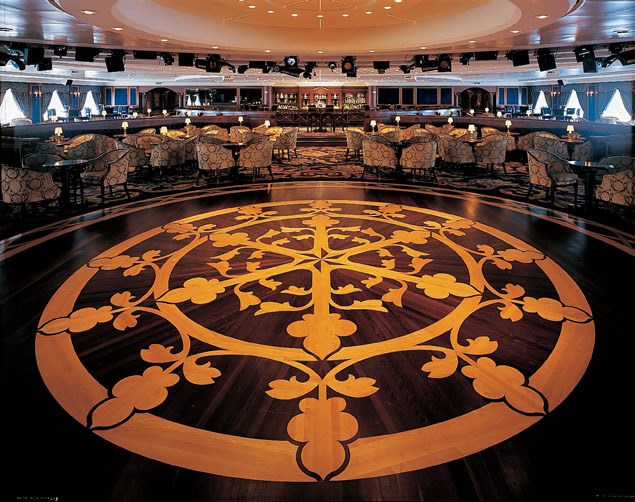 Check out the Wheelhouse Bar, the Adagio Bar, the Crooners Bar, or the Speakeasy Cigar Lounge.